Delinquent U.S. federal and state tax filings or unreported 2017 or prior tax years’ transactions may force taxpayers dealing in crypto to liquidate significant positions in cryptocurrencies at lower values to pay outstanding tax liabilities to the IRS, including interest and penalties. The meteoric rise of Bitcoin and other convertible virtual currencies’ value in 2017 were followed by a steep decline during 2018. The bursting of the virtual currency valuation bubble and continued market volatility will likely present many tax planning challenges for investors and businesses going forward. For some U.S. taxpayers, the situation is much worse. In May of 2018, a U.S. Department of Justice attorney indicated a possible need for new voluntary disclosure procedures, however, at the tax symposium held in November 2017 by the State Bar of Texas Tax Section, Daniel Price of the IRS’s Office of Chief Counsel dismissed the stories that the IRS intended to establish a separate, voluntary disclosure program for unreported income related to offshore virtual currencies. 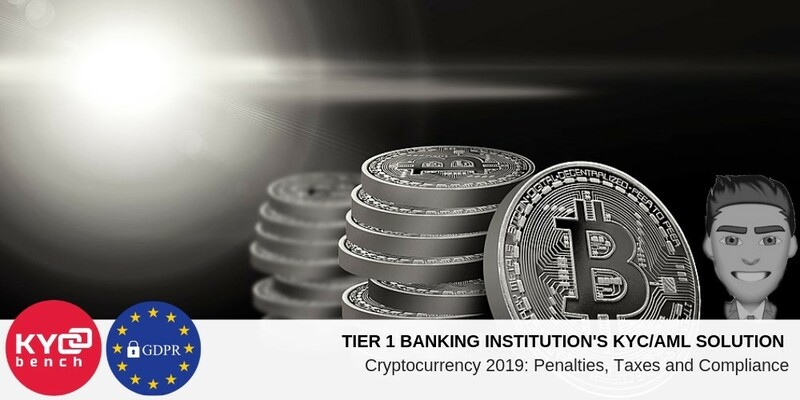 Contrary to some taxpayers and tax practitioners’ expectations, the Internal Revenue Service (IRS) is unlikely to provide a separate, voluntary disclosure program to assist taxpayers who failed to report income taxes resulting from virtual currency transactions. The IRS Voluntary Disclosure Practice still remains an option. However, the Practice generally does not guarantee a taxpayer immunity from prosecution. Nor does it offer penalty relief. Generally, for penalty abatement, a taxpayer has to show reasonable cause for failure to report and disclose. Taxpayers who have unreported income from convertible virtual currency transactions, unfortunately, face a multitude of civil—and possible criminal—penalties and charges of tax evasion and other crimes. In October 2018, the Information Reporting Program Advisory Committee (IRPAC) issued a public report that provided a number of specific recommendations and also expressed concerns over various tax reporting and compliance issues. The IRPAC, a collaborative forum between the IRS and tax professionals, also expressed interest in helping develop information reporting and withholding guidance for virtual currency transactions. The report recommendations came two years after the Treasury Inspector General (IG) for Tax Administration Report was released. The September 2016 Report openly criticized the IRS and its management for its absence of strategy, guidance, and reporting, including failure to execute management oversight as well as adequate controls. Though the IRS agreed with the report, no specific recommendations were made to the IRS’ Office of Chief Counsel. It appears, based on available public records, that there was no formal coordination with the Department of the Treasury’s Office of Tax Policy since the report issuance.